Lucy Ladybird doesn't belong anywhere - she has no spots! Follow her as she goes on a journey through the seasons, being given different coloured spots by her beautiful friends. Eventually, when she has four spots, she learns that being different is no bad thing... as a huge fold-out surprise reveals all the other ladybirds want multi-coloured spots too! Sharon King-Chaiis Senior Designer at Macmillan Children's Books. She also owns Eye Fly High illustration, where her diverse clients include Universal Music Group, Egmont Children's Books and Ted Baker. 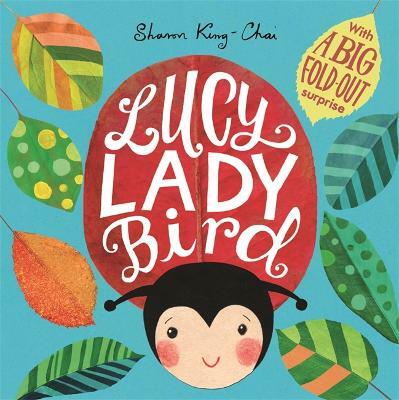 Lucy Ladybird is her debut picture book.